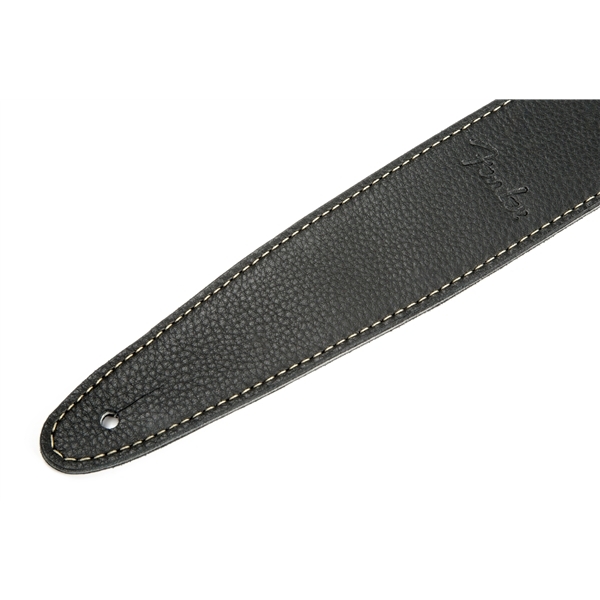 Enjoy luxurious feel and comfort with these U.S.A.-made guitar straps available in brown or black, both in 2" or 2.5" widths, each crafted from three layers of premium hand-selected leather with saddle-grade stitching. The black straps feature top and bottom layers of aniline leather drum dyed and tumbled to enhance the surface grain. These layers sandwich a top quality suede middle layer for a luxuriously comfortable feel. The brown version uses pull-up leather for the top layer, which is then finished with oil and wax for a wonderfully broken-in look. 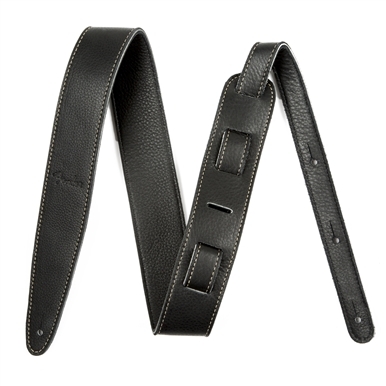 2" straps feature contrasting stitching while the 2.5" straps offer matching stitching.